Audi A3 Conversion to Full Electric Drive: So There’s a Plan? 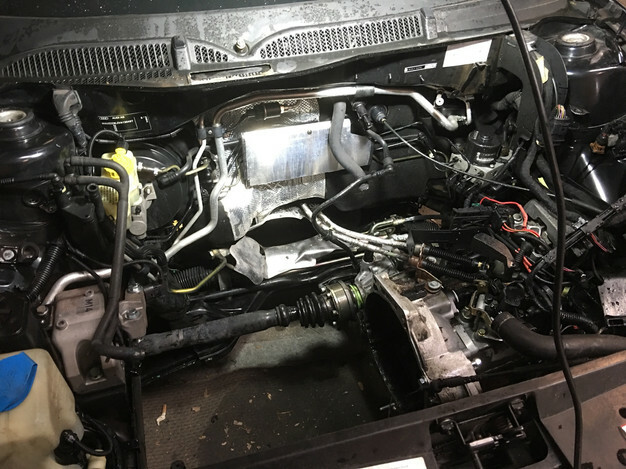 A little known fact is many EV conversions start and unfortunately abruptly finish with the removal of the engine and supporting components. The reason being the skills and planning required for such a build are both broad, detailed.. and expensive if not executed correctly. The worst case scenario is that you end up with a collection of components that once looked like a car and large hole in your finances. The car will make use of an AC induction motor, a matching controller and approx. 18kwh of Lithium iron batteries. The AC induction motor (and controller) is a key decision as it will allow the car to have regenerative braking and be largely maintenance free. On a typical journey the car will regenerate around 10% of the power used and put this power back into the batteries thereby extending the range and preserving the brake pads and discs. Think that’s three wins right? DC motors are cheaper but there is a maintenance overhead as brushes need to be replaced and realigned every 4000 miles and no regenerative braking is possible. 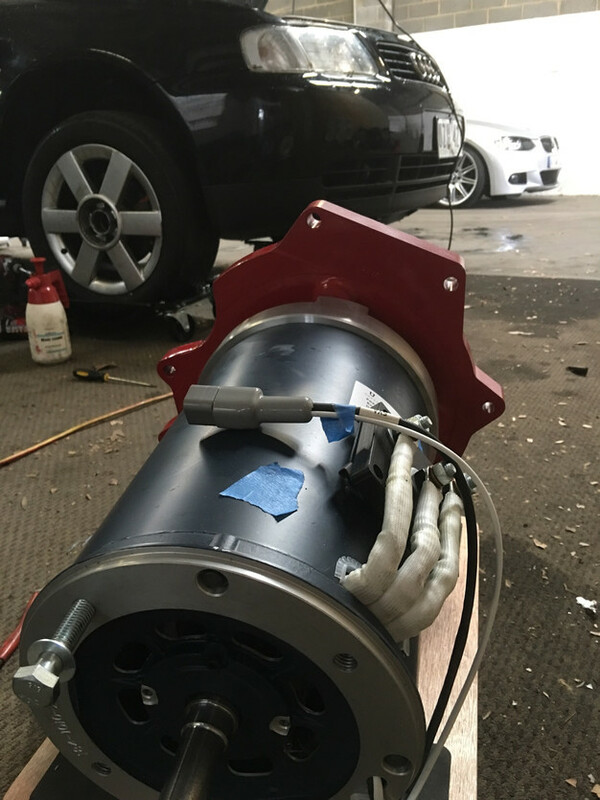 Tesla, Nissan, Renault, Mitsubishi and Faraday Future all use AC induction motors and they seem to know what they’re doing. The motor will mate up to the manual gearbox of the Audi. The car will be able to be driven like an automatic as it won’t stall and will be able to pull away from standstill in 3rd gear! The Lithium batteries we’ll be using are a batch made by Yuasa and some capacity matched 18650 cells.. The 18650 batteries are the same brand (Panasonic) as those used extensively by Tesla. Here Con points out the high voltage bits of the Yuasa pack.. all of it! The end result will hopefully be a car that weighs pretty much the same as before any mods but with more power and torque! We expect the range (from the 18 kwh of batteries) to be at least 100km which should be fine for a general commuting / town car. However, I think there will be room for more capacity and range improvement once the car is on the road. We just need to maintain the balance of the car and not alter the structure of the chassis otherwise the car will be considered unroadworthy. Next steps? We mount the motor, start cable routing and find homes for all the other key components.